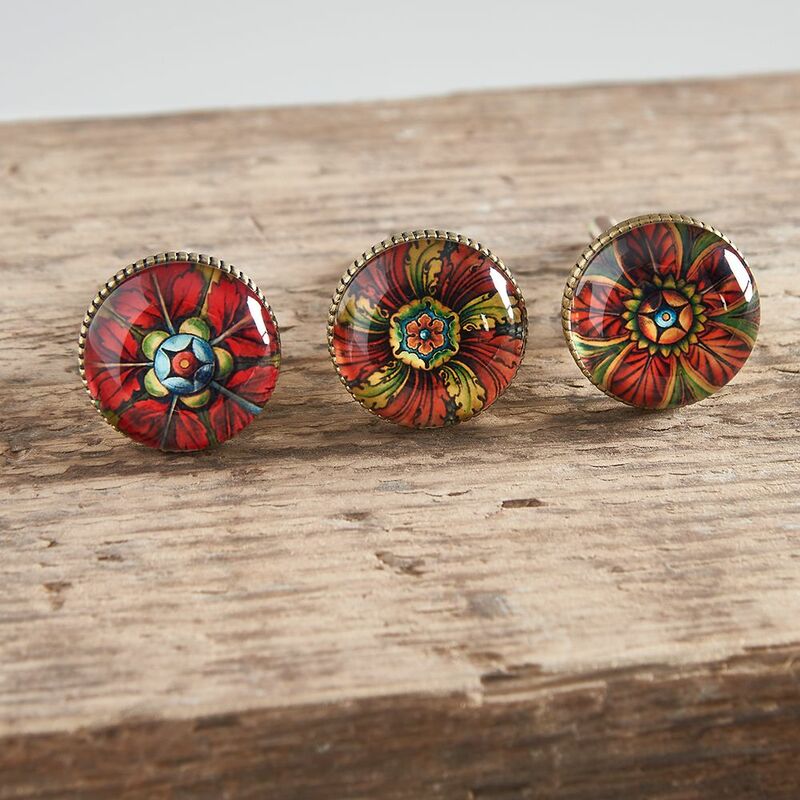 This set of three bahia glass and brass knobs will brighten up any piece of furniture or cupboard. 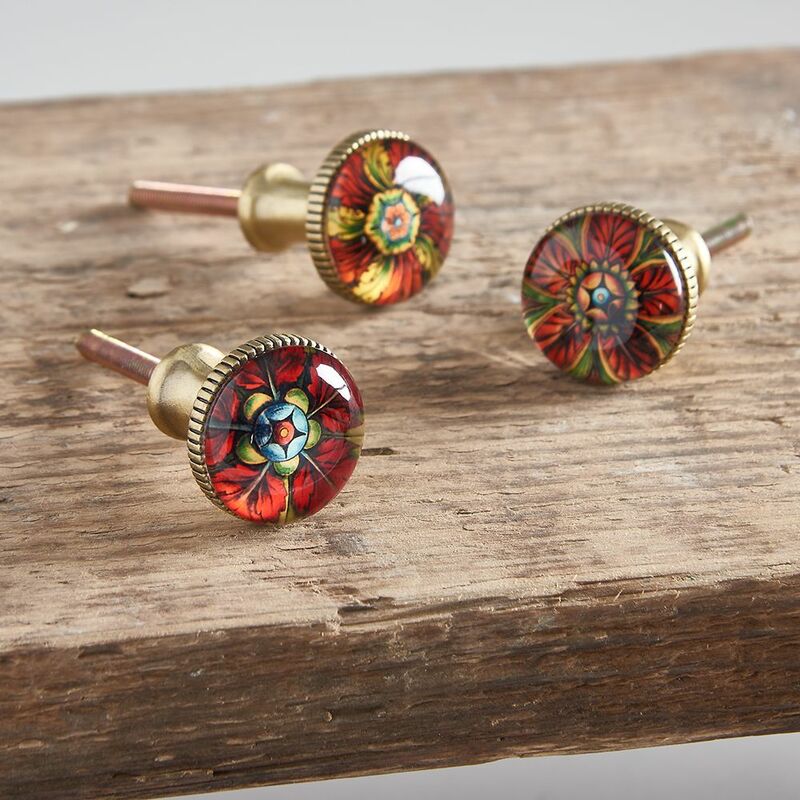 Influenced by the forests of Brazil, each glass knob has a different vibrant design set under a brass case fitting. An easy way to add a bit of samba style to your house! Approx. 3cm diameter (4cm screw).